June 30, 2017 – Warm Springs, Ore. – The Warm Springs FAA UAS Test Range, a member of the Pan Pacific UAS Test Range Complex (PPUTRC), is expanding its operations to Prineville and Madras Airports to support Oregon’s rapid UAS industry growth. 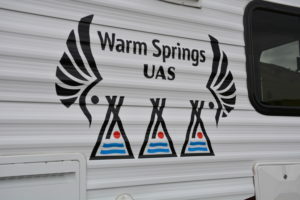 “The expansion project will allow Warm Springs to support Unmanned Aircraft Systems clients who require an airport for launch and recovery as well as having certified maintenance facilities readily available,” said Liz Stalford, Warm Springs FAA Test Range Manager. Madras Municipal Airport and Prineville Airport offer full-length runways, hangars, conference space and pilot lounges. Clients who partner with Warm Springs UAS Test Range will get expanded access without the need to coordinate and gain approvals for multiple test sites. Designated Airworthiness Representatives are also available at these locations for type certification projects. “We are excited to offer support for the Warm Springs UAS Test Range clients. The Warm Springs Test Range crew has the knowledge and expertise to ensure the safe integration of unmanned aircraft into our airspace and we look forward to the positive impact this will have on our community,” said Rob Berg, Madras Airport Manager.